Rather than spend hours trawling through Google, or pestering friends for recommendations, trade shows offer a fantastic alternative to sourcing great home professionals. Whether you’re building, extending, converting, or renovating your home, chances are there’s a trade show dedicated to your kind of project. This is one of the most widespread home shows, making it an ideal starting point for many people. Whether you’re mid-way through a project or don’t know where to start, the Homebuilding & Renovating Show is brimming with bright ideas. At their shows, you’ll be able to hear specialists talk about everything from plot finding to perfecting interiors, get personalised advice on your project, and discover brands showcasing a vast range of products. Each year, the Build It Live shows make three annual appearances across the country, providing a weekend of inspiration for anyone looking to build, extend, or renovate their home. Each show has hundreds of professionals for you to meet, plus the chance to take advantage of the many one-to-one consultations on offer. You’ll also get to experience expert talks, workshops, and see impressive builds on site. The Ideal Home Show is one of the longest running shows. It not only runs for an impressive 17 days, it was also founded in 1908! And there’s a reason this trade show has been existing as long as it has. 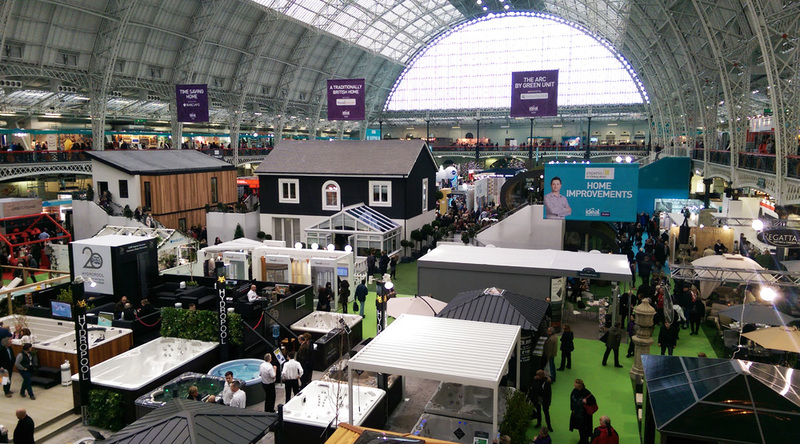 Though only an annual event, the sheer size of the of the Ideal Home show makes it a must for any homeowner looking for inspiration. From towering exhibitions, to a wide range of talks, consultations, and workshops. No stone is left uncovered by this event. There's so much to see, you'll likely need more than one day to fit it all in! As the name suggests, this is a show dedicated to those interested in the world of property investment and development. Though many professionals used by everyday homeowners will be present, this is really an event for those juggling multiple properties and looking at long time investment potential. If you're looking to get into property development, you'll be happy to hear this show is free to enter. It’s friendly atmosphere providing the idea place for networking, obtaining reliable and up to date property market information and, of course, property to buy. It is designed to cater for all levels of property experience – so whether you are a property novice or a seasoned investor you will find the answer to your questions. Much like the show it’s named after, Grand Designs Live provides a high end, high quality show for homeowners to enjoy. It’s even won a number of awards! The show offers visitors top expert advice, new product launches and specialist exhibitors in six project zones. Whether you’re planning a self-build, renovation or adding the finishing touches, find ideas and inspiration for your very own Grand Design - you might even catch a talk from the man himself, Kevin McCloud. Swindon, 2020 date yet to be announced. Covering self-build to renovation, there’s a lot to do at this annual event in Swindon. Over 250 manufacturers and suppliers are present in their ‘trade village’, meaning you’re sure to find some inspiration, if not a professional, for transforming your property. Free advice can be found within their expert hub, and they even do educational tours for those considering building a home from scratch! As with many shows, this is a great all rounder that provides information for a number of different project types. Whether that's a modest extension, large-scale new build, or a period property renovation. Over the course of the weekend, you’ll be able to see 1000s of products from professionals working both locally and on a national scale. You’ll also find a wide range of talks from many of the experts exhibiting. Running as part of UK Construction Week, this show provides the most powerful opportunity available for suppliers and contractors to connect face-to-face, all under one roof. This is less of a place for everyday families, and more for professionals looking to expand their network. You’ll not only be able to make valuable partnerships in the industry, but hear fascinating talks from people in your field. Making this the perfect place to give your business some food for thought!